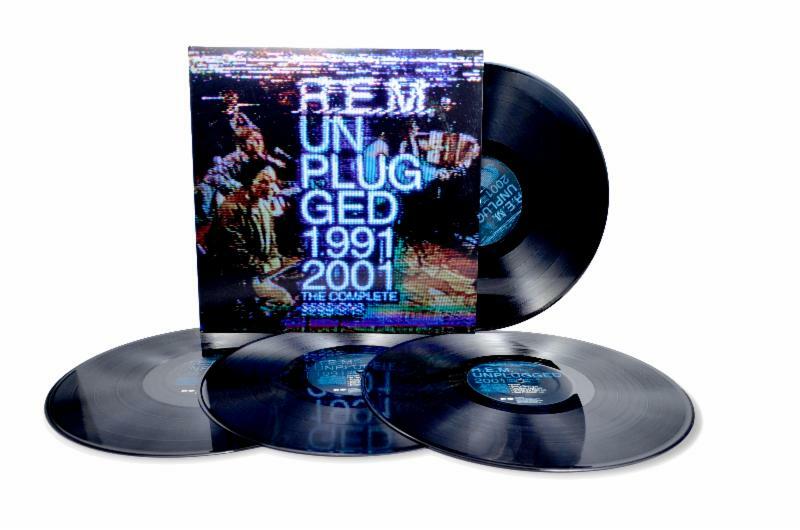 Rhino Records will re-issue R.E.M.’s classic MTV Unplugged performances this Tuesday. R.E.M. is gone. But the landmark Georgia-based band is certainly not forgotten. That is evident in the upcoming re-issues of the band’s 1991 and 2001 performances on MTV’s live acoustic performance series. The performances were originally released earlier this year on Record Store Day as a limited four-LP vinyl set. That set sold out almost instantly. Now R.E.M. fans that weren’t lucky enough to get their hands on a copy of the recordings this Tuesday, September 2nd via Rhino Records. Unlike the previously released 4-LP set released earlier this year, this re-issue of the performances will make the 1991 show and the band’s 2001 performance available on two separate 2-LP sets. Each set will retail for SRP of $39.98. The complete track listing for both performances is noted below. This week’s vinyl re-issues are not the only new R.E.M. releases due out this year. Another landmark R.E.M. recording tied in to MTV will be released before the year is out. Audiences can keep up with news on the release and more news from the band online at http://www.remhq.com and http://www.facebook.com/REMhq. To keep up with the latest sports and entertainment news and reviews, go online to http://www.facebok.com/philspicks and “Like” it. Fans can always keep up with the latest sports and entertainment news and reviews in the Phil’s Picks blog at https://philspicks.wordpress.com. ESPN will release a very special box set for fans of its hit 30 for 30 series this fall. ESPN announced this week that it will release a very special collection of films from its hit 30 for 30 series on Tuesday, November 25th. The box set celebrates the fifth anniversary of the series’ first broadcast and is loaded with plenty of positives for fans of both ESPN and 30 for 30. It features a total of one hundred films spread across thirty-two discs. Online retailer Groupon will make the collection available in a specially packaged metal locker box. It also includes a 30 for 30 shirt, hat, and limited edition book and poster. The specially packaged metal locker edition of the 30 for 30 Fifth Anniversary Collection will be available online via Groupon beginning Saturday, November 1st for SRP of $249.99. The collection will also be available on Blu-ray beginning Tuesday, November 25th for SRP of $199.95. the Blu-ray set will be featured in a special 30 for 30 ticket box. The films included in the upcoming 30 for 30 Fifth Anniversary Collection include films not only from its primary 30 for 30 series, but also from its 30 for 30 Soccer Stories and Nine for IX series. More information on this upcoming release and all of the news on the latest additions to ESPN’s 30 for 30 series is available online at http://www.facebook.com/espn30for30 and http://www.espn.com30for30. To keep up with the latest sports and entertainment news and reviews, go online to http://www.facebook.com/philspicks and “Like” it. Fans can always keep up with the latest sports and entertainment news and reviews in the Phil’s Picks blog at https://philspicks.wordpress.com. Football season is officially underway. College football and NFL stadiums alike are now rocking every week with rabid fans on both sides of the ball. While football has taken center stage, audiences should be reminded that the 2014 MLB season isn’t over just yet. With time ticking away before the playoffs start, ESPN has announced that the Baltimore Orioles and New York Yankees will face off live on ESPN’s Sunday Night Baseball presented by Taco Bell on Sunday, September 14th. The teams’ matchup on September 14th will be the last in a four-game series between the teams that weekend. The series kicks off Friday, September 12th with a double-header between the AL East rivals. Whether or not audiences are Yankees fans, the scheduled game will be an important one as it is believed that it will be the last appearance by Yankees great Derek Jeter on Sunday Night Baseball. It will also be the last for Jeter at Oriole Park at Camden Yards, which is itself celebrating its 25th season this year. Dan Shulman will have the call for the game. He will be joined live by analyst John Kruk and reporter Buster Olney for additional commentary. Fans that won’t be close to a TV to catch the game on September 24th can still catch it on their local ESPN Radio affiliate. Jon Sciambi and Chris Singleton will have the call for audiences listening on the radio. It will also be available online via WatchESPN and on TV and radio for Spanish-speaking audiences on ESPN Deportes and ESPN Deportes radio. 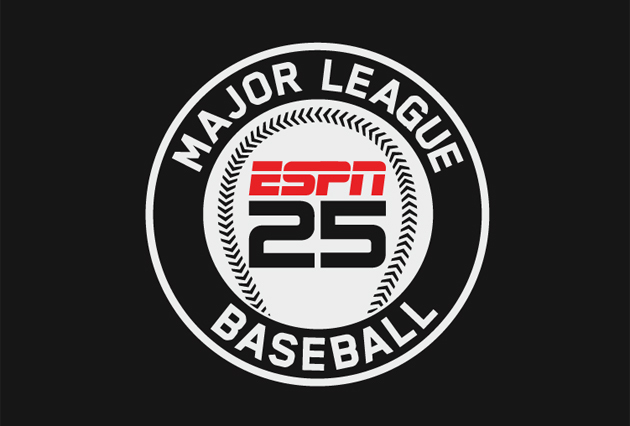 As with every Sunday Night Baseball broadcast on ESPN, the matchup between the Orioles and Yankees will be preceded by ESPN’s Baseball Tonight: Sunday Night Countdown presented by Chevrolet live at 7pm ET. Tomorrow night, audiences can catch the third game in a three-game series between the Indians and Royals. The Royals currently sit atop the AL Central Standings while the Indians are third in the division, 3.5 games back. Game two is tonight at 7:10pm ET. Next Sunday night, September 7th, ESPN will carry the third game in a three-game series between the Giants and Tigers. More information on ESPN’s MLB coverage is available online at http://www.facebook.com/ESPNBaseballTonight. To keep up with the latest sports and entertainment news and reviews, go online to http://www.facebook.com/philspicks and “Like” it. Fans can always keep up with the latest sports and entertainment news in the Phil’s Picks blog at https://philspicks.wordpress.com. 2014 is almost over. But even as the year’s last months start to wind down, things haven’t cooled down in terms of the year’s new live recordings. As the year’s final months wind by, critics everywhere will begin firming up their annual “Best Of” lists for publication later in December. Most critics will focus mainly on the year’s best overall movies and music. And then there will be those critics and writers that will focus on specific lists such as the year’s best new pop albums, rock albums, hard rock albums, etc. It would seem that among all of the lists that are compiled, one category that doesn’t necessarily receive the attention that it deserves is that of the year’s best new live recordings in terms of DVDs and Blu-rays. This critic’s personal list of the year’s best new live recordings is already firming up quite well. There are still at least a couple of spots left open on that list, though. And one of those spots will most definitely be taken up by veteran hard rock/metal band Anthrax’s new live DVD Chile on Hell. This new live recording is one that any long-time Anthrax fan will appreciate and enjoy first and foremost for its set list. While this concert is not necessarily what one would call a “career-spanning” show, it is one that both the band’s original fans and its newest fans alike will appreciate. The next aspect of the DVD that audiences will appreciate is the band’s stage presence. Some might consider this something minor. But in reality, it is just as important in keeping audiences at home fully engaged. And last but most definitely not least of all worth noting is the concert’s collective audio and video mix. The two together present a certain raw look and sound that are just as impressive as any more spit shined and perfected recordings that are currently available to audiences. Each of the factors noted here play their own important role in the overall enjoyment of Chile on Hell. Altogether, they make this DVD a dark horse candidate for a spot on at least this critic’s list of the year’s best new live recordings. Far too often, the term career-spanning is tossed around when it comes to live recordings. Sadly, very far too few of those recordings live up to such hype. That isn’t to say that no recording lives up to that label. Rather, far too few live recordings live up to said label. Thankfully, neither Anthrax nor Megaforce Records make any attempt to call Chile on Hell one of that mass of overly hyped recordings. Rather, they let the recording speak for itself. And the statement made is loud and crystal clear as audiences will see in the show’s set list. The nearly two-hour show includes some of the material included on Worship Music and the band’s recently released EP Anthems. But by and large, the set list presented in Chile on Hell takes audiences back to the band’s earlier days. To be more exact, the band largely reaches back to its 1985 and 1987 albums Spreading The Disease and Among The Living for this concert. 1990’s Persistence of Time of also represented here courtesy of the song ‘In My World.’ Such a mix of classics and more recent songs will bring in both the band’s original fan base and its newer and possibly younger fan base at the same time. One could argue that in presenting such a set list, the band is paying respect to its original fan base while teaching a valuable music history lesson to those younger and newer fans. Even if this was not the original intent on the part of the band or of Megaforce Records, it is one of the results. It makes the set list even more solid as the DVD’s center. The set list and the potentially latent function of said list are together a solid starting point in the success and enjoyment of Chile on Hell. Just as important as the set list and its effects is the band’s stage presence. It goes without saying that the band’s stage presence in this stage is full-on. Front man Joey Belladonna and founding guitarist Scott Ian exude so much energy; so much in fact that even audiences at home will find themselves wanting to sing along and head bang with them. Such a powerful translation even on-screen is quite a statement. Belladonna’s band mates add their own energy through their performances. Whether through Charlie Benante’s pounding drumming, the spot on shredding of Shadows Fall guitarist Jonathan Donais (who replaced Rob Caggiano) or even bassist Frank Bello, the band collectively keeps the audience in attendance at the recording fully engaged from start to finish. And home viewing audiences will feel that energy themselves, leading them to be fully engaged throughout, too. That the band’s stage presence could translate so well and have such impact even on home viewers is a tribute to the band itself. And coupled with the show’s set list, the overall effect of the show is made even stronger, thus making the recording in whole all the more enjoyable for all of the band’s legions of fans. The set list arranged for Anthrax’s show in Chile and the band’s stage presence combine to make Chile on Hell an impressive addition to any Anthrax fan’s personal collection. The recording’s collective audio and video mix is the final touch to the whole presentation. The video doesn’t have the spit shined look of so many other live recordings before it. Rather, it has a grainier, more raw look. Yet that look actually plays into the overall presentation. That is because it actually serves to help heighten the energy exuded by both the band and the audience. Staying on that topic, audiences will enjoy the camera attached to the end of guitarist Scott Ian’s guitar. That angle and the others used throughout the concert are used at just the right moments to make for a wonderful impact. And despite being recorded at an indoor venue, the concert’s audio mix turned out impressive in its own right, too. Balancing audio levels at indoor venues always has and always will present its own challenges. In the case of this concert, those charged with balancing the concert’s audio levels both at the show and in post-production are to be commended for their efforts. The end result of their work is a concert recording in which neither the vocals nor the music overpowered the other. And together with the equally professional work on the concert’s video mix, it proves to be a concert experience that any of Anthrax’s legions of fans will enjoy no less with each watch. Those charged with handling the audio and video mix for Chile on Hell are to be highly commended for their high quality of work in this concert. The band and its label are to be commended, too. The set list serves a dual purpose. And the band’s stage presence will keep audiences fully engaged from start to finish. All three of these factors come together to make Chile on Hell a concert that while bare bones, is one that any hard rock fan and any Anthrax fan will appreciate and enjoy. The DVD will be available Tuesday, September 16th via Megaforce Records. 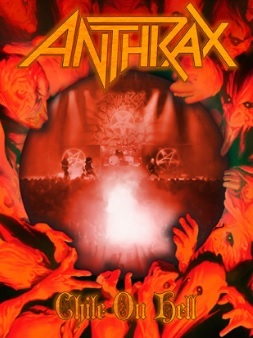 Fans can find out more about this upcoming live recording and keep up with all of the latest updates from Anthrax online at http://anthrax.com, http://anthraxarmy.com, http://twitter.com/anthrax, and http://www.facebook.com/anthrax. To keep up with the latest sports and entertainment reviews and news, go online to http://www.facebook.com/philspicks and “Like” it. Fans can always keep up with the latest sports and entertainment reviews and news in the Phil’s Picks blog at https://philspicks.wordpress.com. Children’s entertainer Stacey Peasley recently released her sophomore full-length album Lucky Day to the masses. That album proved to audiences why given the chance, Peasley could be one of the next big names in the world of kindie-rock. Peasley’s 2011 debut Together is just as good as that album if not actually better than Lucky Day. 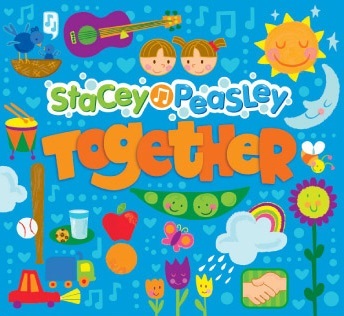 Together is anchored by Peasley’s funky, celebratory ‘Dance Party.’ The song harkens back to the days of Kool and the Gang, KC and the Sunshine Band, and Sly and the Family Stone just to name a few groups. ‘Fun, Fun, Fun’ is an equally up-tempo piece that boasts a poppy 90s vibe. And while hardly the longest song, its equally upbeat, optimistic lyrics will put a smile on the face of listeners of all ages. Rounding out the whole album is a sweet, lullaby of sorts in the song ‘Snuggle Daddy.’ After all of the fun of the album’s previous group of songs, this song is a fitting closer. It’s one of those songs that some parents might even find a guilty pleasure as it will make them think of their own children when they’re at school or asleep in their beds. It might even bring a small tear of joy to some parents’ eyes. And that’s perfectly fine, too. That’s because it is just that wonderful of a song. Of course it and the other songs noted here are not all that families will appreciate about Together. There is also a fun little song about bath time simply titled ‘Soapy Bubbles’ and a bittersweet and somewhat heart wrenching song about a child in a broken family titled ‘Far Away.’ This song is especially interesting considering that so few kindie-rock entertainers delve into that topic. It is a tough song to hear. That song alongside the others featured as part of Together make this record quite the impressive first effort from Stacey Peasley. Together is a wonderful first effort from Stacey Peasley. From beginning to end, every one of the album’s offerings make the album a joy to hear in its own way. The album is anchored most strongly by the funky and fittingly titled ‘Dance Party.’ This song will have parents, children, and even grandparents dancing and smiling, well, together. Musically, the song harkens back to the days of musical greats such as KC and the Sunshine Band, Sly and the Family Stone, and even Kool and the Gang with its mix of horns, keyboards, drums and easygoing guitars. Peasley herself even seems to channel some of the great vocalists of days gone by as she sings, “Come on everybody/We’ve got dancin’ to do/There’ll be no sittin’ down/We’ve got to get up and move/Listen to the instruments play their tune/They can play all day/Your imagination is all you need/Grab a microphone and you can take the lead/Go ask your mom and dad/And you know they’ll be glad/They’ll spend the day with you/Put on your dancing shoes/And have a dance party.” It would be so easy to see this song in a live setting. Both kids and grown-ups will be dancing and singing along so happily, the lights on the stage flashing in time with the band. And even a music video in the same vein would make sense. It’s just a fun, infectious song that will instantly get stuck in listeners’ heads and on their lips. It’s just one of the songs that make Together such a fun album for the whole family. While it boasts a slightly different sound than ‘Dance Party,’ Together’s penultimate song ‘Fun, Fun, Fun’ is just as fun and memorable a song. Whereas ‘Dance Party’ was more of a throwback to the great names of funk, ‘Fun, Fun, Fun’ boasts more of a poppy 90s vibe. The mix of the song’s piano line, guitar, and tambourine backed by Marty Beller’s drumming by itself makes the song so infectious. Lyrically, Peasley perfectly captures the joys of childhood friendship as she sings, “When my friends and I get together/We always have a really good time/We laugh and play/And spend the day/With one thing on our mind/We have fun, fun, fun/As long as we can/When we get together/The day never ends/Fun, fun, fun/Until the sun sets/You’re my best friend/Til’ the very end.” Kids will relate to these words just as much as parents to these words. For kids, it celebrates the joys that they are currently feeling as they develop friendships and learn about the joys of having that social circle and those relationships. For parents, it will take them back to their own childhoods. What better way to get rid of the stresses of the work week than reminisce about better times? Kudos to Stacey Peasley for that. ‘Dance Party’ and ‘Fun, Fun, Fun’ are two great examples of what makes Together an album that every family will in fact enjoy listening to together, thus the album’s title. The album’s gentle closer ‘Snuggle Daddy’ is one more example of what makes this album so enjoyable for families. It would be a surprise if this song doesn’t put a smile on a parent’s face and a slight tear of joy in said parent’s eye. Peasley sings of the joys felt by a young child spending those all-important minutes before bed with his or her father. What really makes this song great isn’t just the song’s gentle musical side or even its lyrical side, but the fact that it could come from the angle of a young boy or girl. The song’s gentle, almost sleepy vibe is a perfect complement to the lyrics. Peasley sings from the vantage point of the child, “AFtermy bath/Before I go to bed/I like to lay close/And rest my head/On my daddy/Snuggle daddy/Sometimes we hide/So mommy can’t see/Under the blankets/It’s just me and my daddy.” She goes on to sing of the child happily reading a bedtime story and more before heading off to dreamland. It’s such a short song. Yet it is so emotionally powerful. Being such a powerful piece, it is a wonderful finale from Peasley on her debut. And alongside the likes of ‘Dance Party’ and ‘Fun, Fun, Fun’ it makes even clearer why any parent should listen to this record. It will bring such joy to not only children but parents, too. The songs noted here are three fine examples of what makes Together such a standout release from Stacey Peasley. Especially being an independent release it is a surprise that none of the major children’s music labels picked her up. Perhaps after hearing the noted songs, those same labels will give her more of a chance. The same can be said of the heart wrenching ‘Far Away’ and the fun bath time song ‘Soapy Bubbles’ ‘Far Away’ comes across as delving into the difficult topic of a young child being stuck between two divorced parents. That’s a tough topic for kids, which is why so few children’s entertainers tackle the subject in their music. Mrs. Peasley is to be highly commended for such bravery. And on the totally opposite side of things is the much more lighthearted bath time song ‘Soapy Bubbles.’ This fun little romp is sure to put just as much of a smile on the face of any listener regardless of age. Peasley sings of the joys a child feels playing with bubbles in the bathtub. What parent can’t relate? This parent certainly can, watching his own son’s eyes glimmer with joy as he blows them around the tub. It’s just a fun song. And it’s one more addition to an album that while it has been out for a few years is still just as good as any album that has been released this year. As a matter of fact, had it been released this year, it might have even made this critic’s list of the year’s top new children’s albums. Audiences will get a chance to hear all of the songs noted here and even more later this year when Stacey Peasley performs live at the Long Island Children’s Museum Show. That concert is scheduled for Saturday, December 27th at 11am. It is an all-ages show. To get more information on this show, more upcoming dates, and to keep up with all of the latest updates from Stacey Peasley, audiences can follow her online at http://www.facebook.com/pages/The-Stacey-Peasley-Band/60359963730 and http://www.staceypeasley.com. Fans can also order both of her current releases through her official website. To keep up with the latest sports and entertainment reviews and news, go online to http://www.facebook.com/philspicks and “Like” it. Fans can always keep up with the latest sports and entertainment reviews and news in the Phil’s Picks blog at https://philspicks.wordpress.com. Veteran rock band Live will release its new album this fall. Live will release The Turn on Tuesday, October 28th on Think Loud Recordings. The album, the band’s–eighth full-length studio release–is the first with new front man Chris Shinn. It also features the band’s original lineup of Chad Taylor (guitar/backing vocals), Patrick Dalheimer (bass/percussion), and Chad Gracey (drums/percussion). It also reunites the band with producer Jerry Harrison. Harrison previously worked with Live on three of the band’s previous releases—Mental Jewelry (1991), Throwing Copper (1995), and The Distance To Here (1999). The band launched a Pledge Music campaign yesterday to kick off the promotional efforts for the album’s release. A portion of the proceeds from that campaign will go to the charity Musicians on Call. Musicians on Call is a charity program that brings both live musicians and recorded music in to hospitals around the country as a means of therapy for patients. More information on Musicians on Call and its efforts is available online at http://www.musiciansoncall.org. Fans can help make The Turn a reality and help donate to Musicians on Call all at the same time online at http://www.pledgemusic.com/projects/live. Details on the album’s lead single, tour dates and more will be announced soon. They will be announced both through the band’s Pledge Music page and via its various social media platforms. The track listing for The Turn is listed below. 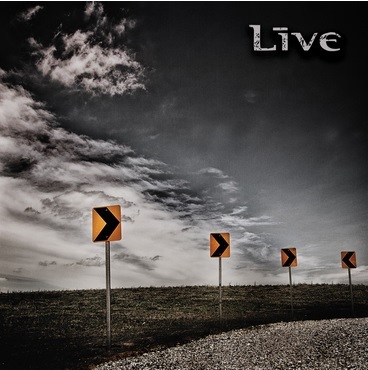 More information on Live, its upcoming album and tour dates and all of the latest updates from the band is available online at http://freaks4live.com, http://www.facebook.com/THEBANDLIVE, and http://twitter.com/freaks4live. To keep up with the latest sports and entertainment news and reviews, go online to http://www.facebook.com/philspicks and “Like” it. Fans can always keep up with the latest sports and entertainment news and reviews in the Phil’s Picks blog at https://philspicks.wordpress.com. 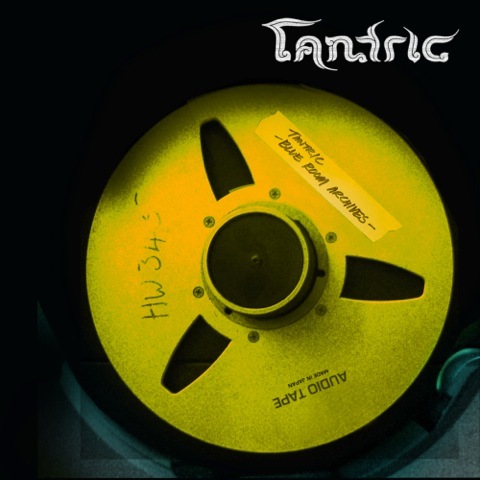 Tantric will release another new record this fall. Blue Room Archives is a collection of previously unreleased and acoustic material that the band has recorded over the years. The new compilation record will be released Tuesday, September 30th via Pavement Entertainment. It comes on the heels of Tantric’s most recent full-length studio effort 37 Channels, which was released on September 17th, 2013. Among the material included on this upcoming compilation are acoustic takes of ‘Breakdown’ and ‘Mourning’ and the new single ‘Cynical.’ Fans can stream ‘Cynical’ now online here. The track listing for Blue Room Archives is noted below. Tantric’s most recent full length release 37 Channels is available now in stores and online. The band is currently touring in support of that album. It will be in Steger, Illinois today and New Albany, Indiana tomorrow. After that, the band will take some time off before hitting the road again beginning September 20th in Beckley, West Virginia. Fans can find out when the band will be in their town and keep up with the latest updates from the band online now at http://www.facebook.com/Tantric and http://www.tantricrockband.com. To keep up with the latest sports and entertainment news and reviews, go online to http://www.facebook.com/philspicks and “Like” it. Fans can always keep up with the latest sports and entertainment news and reviews in the Phil’s Picks blog at https://philspicks.wordpress.com.